Taiwan Street is a place of dining on Taiwanese Cuisine. 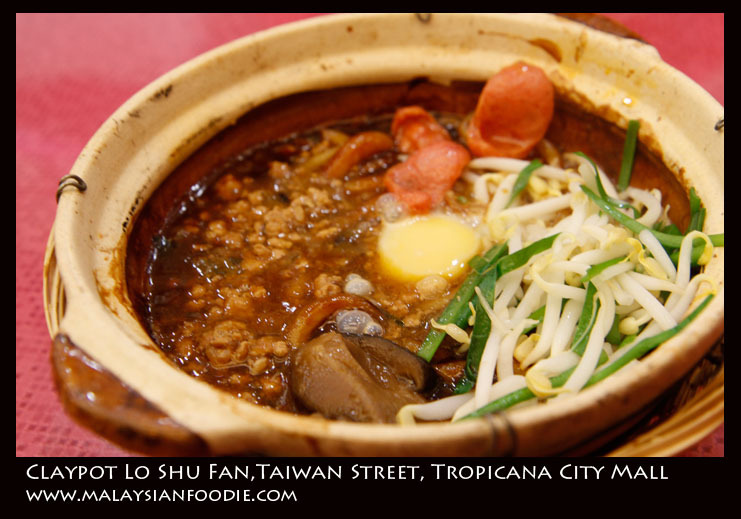 The Taiwanese Cuisine here is more favorites to beef lovers as they have a large variety of food which are more towards beef.It is located at the same floor with the GSC Cinema. Salted Chicken Chop is quite nice but not much worth for the price. The chicken is being deep fried but not much a salty chicken taste as well. 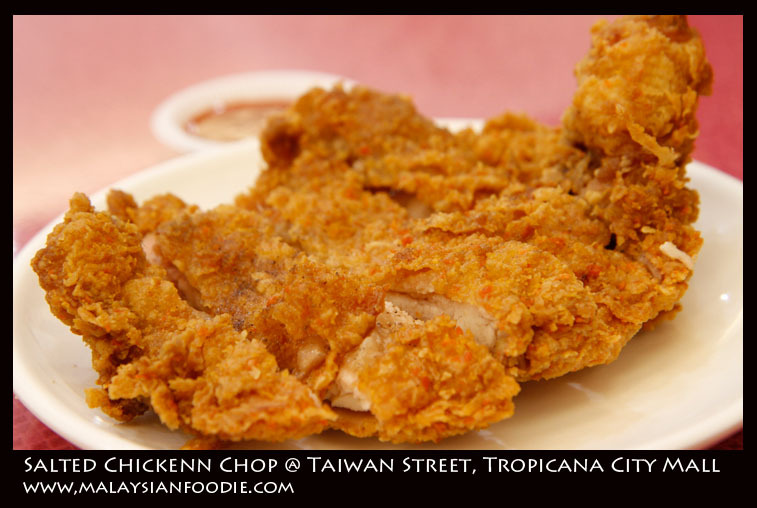 The taste is not much special but just a normal deep fried chicken only. Claypot Lao Shu Fan which also give us a much disappointment. The Loa shu fan seems like overcooked and the overall all meal is really stick when it is makes with the egg. 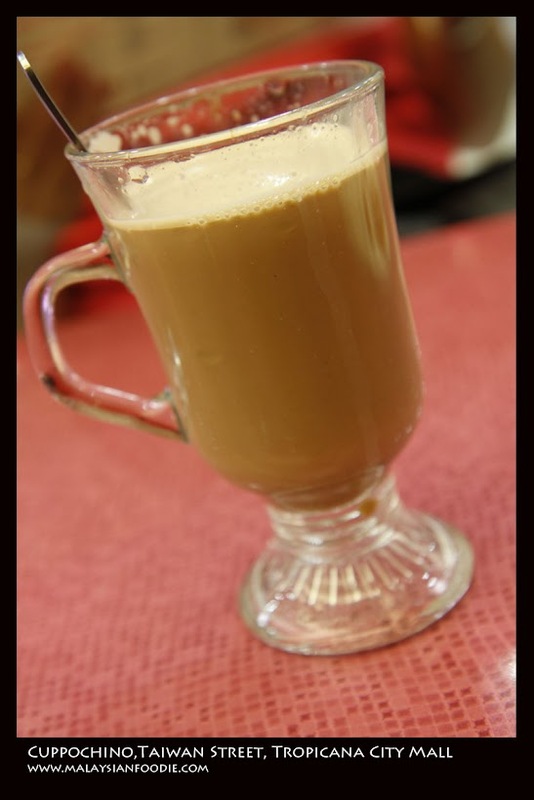 The taste is not much a delighting one and weird one as well. Taste buds wise is not much a delighting one to have. Next will be the Cappuccino, a hot cappuccino but taste more like a 3 in 1 old town coffee. Simply a normal coffee i can say. I been to this Taiwan Street restaurant at tropicana Mall,but very disappointed with the service staff that not understand english when my wife want to change the Lo shu Fun noodle to other option noodle,the service staff dunno what we talking about and we ask is there other staff can understand english.But it come another staff also cant understand english,my wife just want to change the noodle THATS ALL! !at last my wife didnt order.we will not come to this place anymore.To the owner of this shop please hire staff can at least understand english,you are losing costumer.Trust me.